“On earth peace, goodwill toward men,” sang the angels on the first Christmas morning. 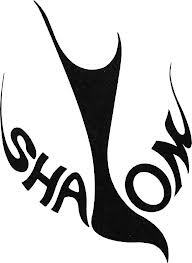 The Hebrew word for peace is shalom. In Judaism shalom is a living concept, not a word; a vision for how life could be, should be, and the life God is pulling his whole creation toward. In this way of thinking, peace is not merely the absence of war or conflict. It is not simply quietness or calm. It is overall wellbeing. It is health and wholeness. It is personal, communal, and cosmic harmony. It is a satisfied and blessed life. So, when someone blesses you with “Shalom!” they are wishing you the highest and best that God can offer. “Be at harmony with yourself, your world and your God. Have a fruitful, robust life,” they are saying. All of that in a single word, and shalom is God’s intent and will for the world. If this is true, then what in God’s world has gone so terribly wrong? As I write these words this world is anything but peaceful. Tyrants rule. Violence is routine. Political opponents dig in to fight, argue, vilify and wrangle. All while we mark the first terrible anniversary of that hideous act that played itself out in a Connecticut elementary school. Yet, the problem is not God’s, for he has provided the path to peace and goodwill. The problem is our lack of practicing peace; and by “our” I am speaking of my own tribe – we who are Christians. We can be as hateful, combative, and eager for violence as any other group of people, sometimes more so. Nothing will change in this world – nothing – until those who follow the Prince of Peace become practitioners of his words and way. Such practice isn’t easy, I know. I am a proponent of peace by means of nonviolence, and yet, nothing I say or write stirs more vitriol from other Christians than this subject. Within seconds of giving a talk about Jesus’ way of peace or writing an article with God’s shalom as its subject matter, someone from the local First Church will be wagging a finger in my face while trembling with rage or lighting up my email box with scorn. This confession doesn’t mean we won’t grow thirsty for revenge, that we won’t be afraid, or that our faith will not be put to the severest of tests. But if we believe that one day the lamb will lay down with the lion; that swords will be beaten into plowshares; that mercy and justice will flow down like the waters; then we must live that belief – we must put peace into action – now. I know that practicing peace appears impractical. Practicing shalom is not like implementing a public policy that will automatically eliminate conflict. Still, this is the way of Jesus. This is the redemptive purpose of his Incarnation and this Advent season. And this way of peace is the very kingdom of God. In the end, Longfellow knew this too. After lifting his head from the deep despair of a morally bankrupt world, he wrote a superb, often ignored line: “Then pealed the bells more loud and deep: ‘God is not dead, nor doth He sleep;’ The Wrong shall fail, The Right prevail, With peace on earth, goodwill to men.” And yes, may that peace begin with me.